We had just put ashore at St Andrew’s Bay when we were hit by a willywaw. These are violent winds that come out of nowhere in a matter of minutes on an otherwise perfectly calm day. They are created when mountain air masses are funnelled down the glaciated valleys to then tear across the bays like mini tornadoes, reaching speeds of 100 knots or more. This one was a trifling 45 knotter but was uncomfortable nonetheless. 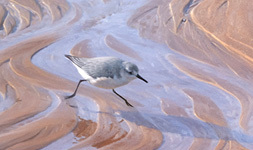 The wildlife, however, seemed barely to notice that the coarse, gritty beach-sand was being blasted at them with a ferocity that could strip paint. 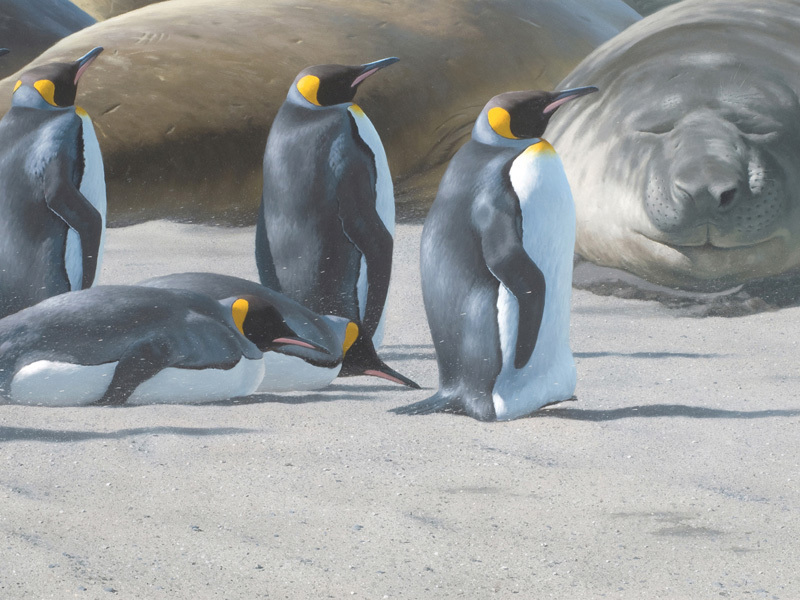 The king penguins simply turned their backs to the wind and closed their eyes while the elephant seals appeared utterly oblivious. I was amused at the way the penguins would lean back into the wind to stay upright; their toes completely off the ground. The elephant seal facing me simply clamped its windward nostril firmly shut and breathed out of the other one.